Suhr NAMM show special model - The "Suhr Select" is a range of guitars designed by John Suhr himself and senior masterbuilder, Mike Ponce. 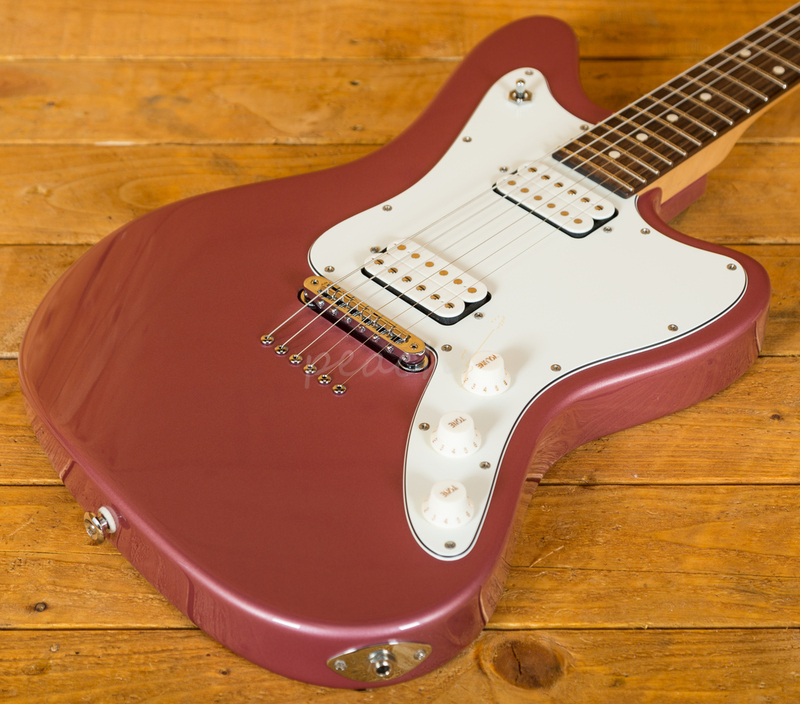 One of only 2 Custom Suhr JM models to be released and we have/had the other one! 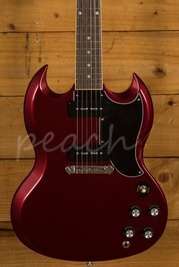 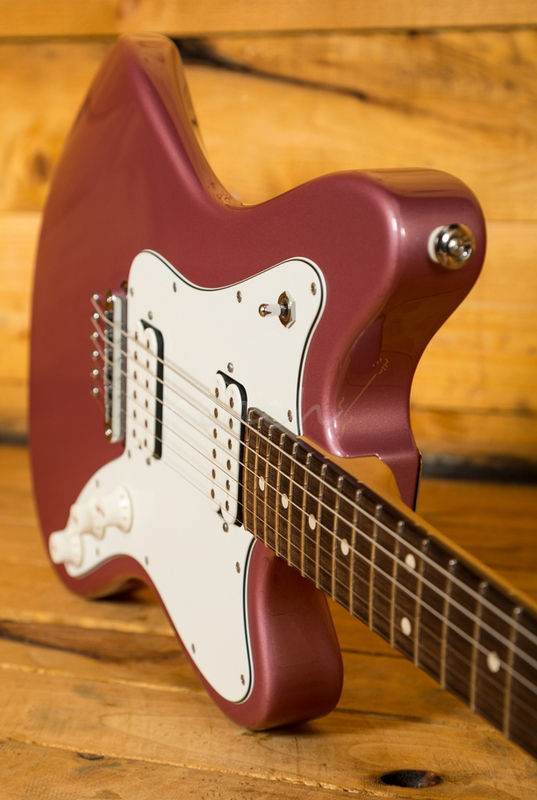 This one has a custom 'burgundy mist" finish, which is metallic and just really pops when you get it under the light. 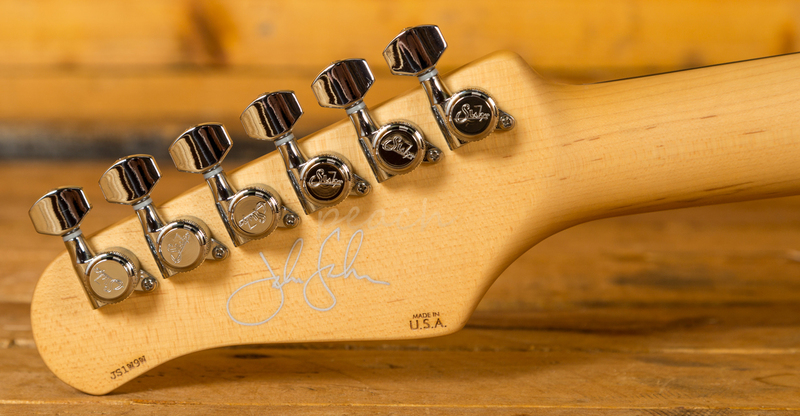 The hybrid step headstock is matching too. 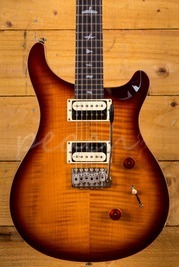 String though body for the ultimate in reonance. 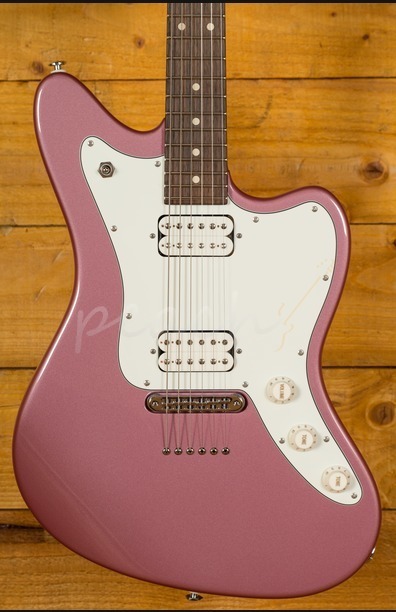 This guitar can spraaang or rock with the best of them. 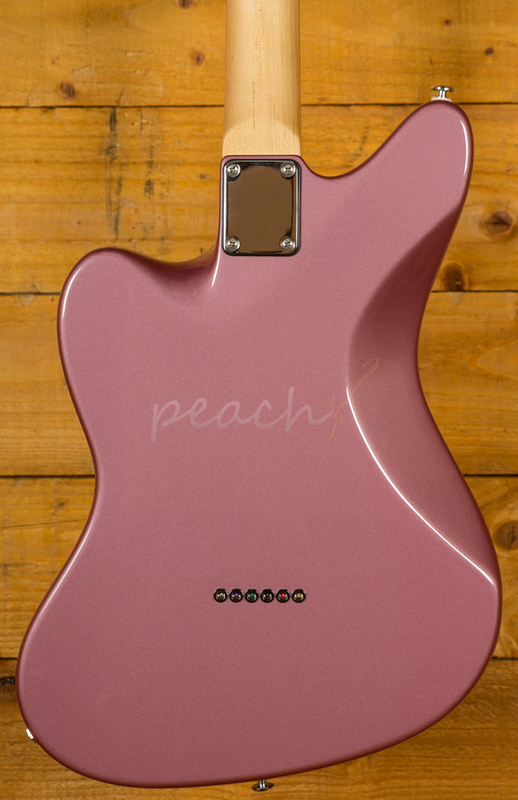 With a SSV neck pickup and SSH+ bridge pickup, this guitar has a super versatile tone, which is definitely not normally the case with traditional guitars of this shape. 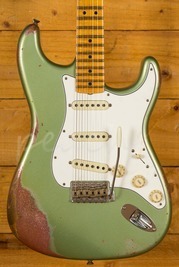 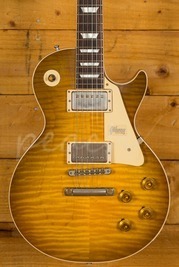 10-14 radius with 60's C vintage standard neck shape. 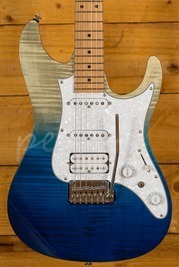 22 Heavy stainless steel frets.